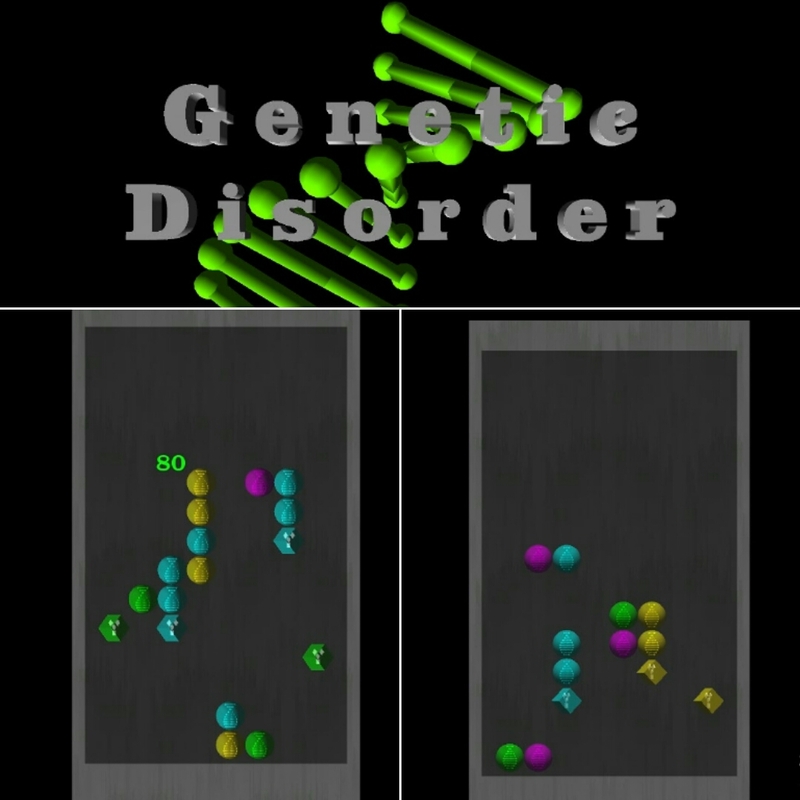 Genetic Disorder is a puzzle game where you match falling DNA strands to eliminate the cube containing genetic abnormalities. Spheres containing DNA strands will fall from the top of the screen two at a time. These spheres can be rotated around each other. The objective is to match four spheres or cubes in a row, which will remove those objects from the game area and award points. Make combos by having the spheres fall in succession to clear more objects for bonus score. Clear all of the cubes on the screen to eliminate all of the genetic abnormalities and move on to the next stage.